Isaac W. Sprague aka “The Human Skeleton” was born on May 21, 1841 in Massachusetts. He was an average sized child, but at age 12, he fell ill and began to dramatically lose weight. 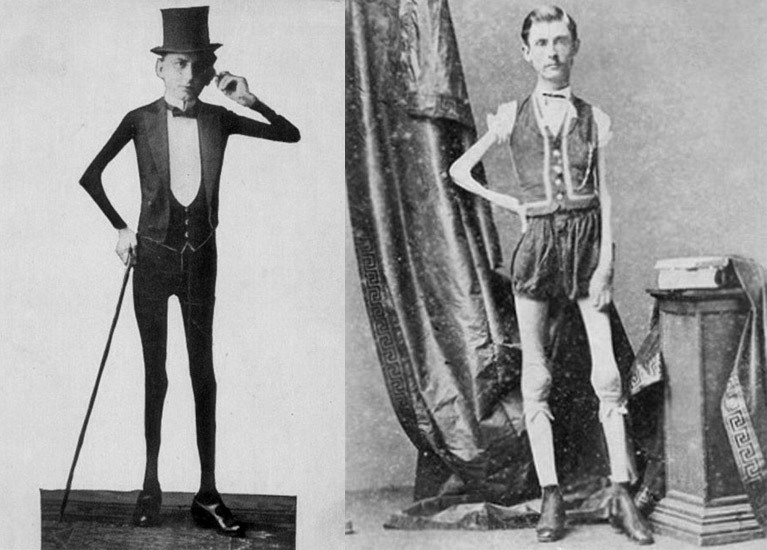 Some historians believe he suffered from progressive muscular atrophy. 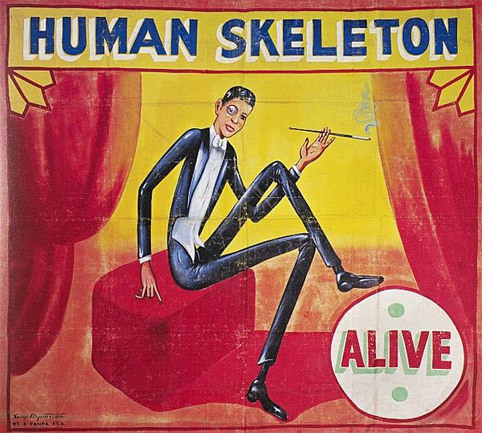 Unable to hold down a job due to his condition, Sprague joined a circus sideshow and went on to work in P.T. Barnum’s American Museum. By age 41, he was 5’6″ tall and weighed only 43 lbs. He died in 1887 at the age of 45 from asphyxia.